(New York, NY) - Will Smith upcoming Disney film " Aladdin " arrives in theaters May 24, 2019. With the release of the live-action Aladdin trailer last week, fans have been wondering who's in the live-action Aladdin 2019 cast. As many know, the upcoming live-action Aladdin movie is based on Disney's 1992 animated film, which tells the Arabic folktale of Aladdin and the Magic Lamp, a story about a streetrat named Aladdin who finds a magic lamp, is granted three wishes by a genie and, well, you know the rest. Each Aladdin trailer grants a new wish. The first, gave us the initial glimpse of the live-action take on the world around Agrabah. The second showed us what would happen if Will Smith "blue" himself up as the guardian of the magic lamp. Now the full-length preview, released Tuesday on Good Morning America, gives us a taste of the music. Mena Massoud's Aladdin and Naomi Scott's Princess Jasmine take off on a magic carpet ride in the new trailer, performing for the first time a snippet of this film's take on "A Whole New World." The footage also teases Smith's big number inside the Cave of Wonders with "Friend Like Me" and all the fantastical CGI pyrotechnics that go with it. There are also snapshots of the big "Prince Ali" arrival number and some recreations of the animated classic's famous scenes. 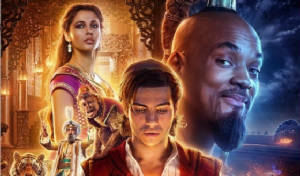 Directed by Guy Ritchie, Aladdin, the latest in Disney's live-action interpretations of its animated library, also features Marwan Kenzari as Jafar, Navid Negahban as the Sultan, Nasim Pedrad as Jasmine's friend and handmaiden Dalia, and Billy Magnussen in the new role of Prince Anders. 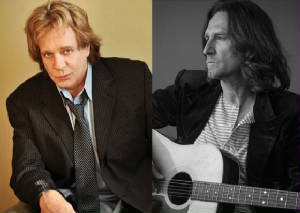 (Frederick, MD) - Performing their catalogue of hits from careers spanning over four decades, Eddie Money and John Waite join forces for a national tour that stops at the Weinberg Center for the Arts in Frederick, Maryland on Thursday, June 13, 2019 at 7:00 PM. Eddie Money burst onto the scene with his self-titled debut album in 1977. 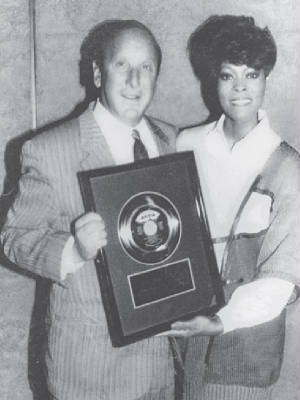 Fans immediately fell in love with Money's sound, and the album, which went double platinum, featured hits like "Baby Hold On" and "Two Tickets to Paradise." Money followed the success of his debut album with a stream of Top 40 hits, as well as some of the era's most creative videos for songs like "Think I'm in Love" and "Shakin." In 1986, Money released "Can't Hold Back," which featured the classic, Grammy nominated duet with Ronnie Spector, "Take Me Home Tonight." The song reached number four on the Billboard Hot 100. The album went platinum and also featured the hit "I Wanna Go Back." Money's blue-collar brand of Rock-n-Roll has managed to transcend generations and continues to move audiences today. Along with having sold more than 28 million records, Money's songs have appeared in dozens of movies and television shows, and have recently been included in hit video games like "Grand Theft Auto" and "Guitar Hero." John Waite's catalogue of hits features some of the most loved songs of the 80s and 90s - the #1 Worldwide hit 'Missing You', The Baby's 'Isn't It Time' and Bad English's 'When I See You Smile' rank amongst some of his biggest international hits and are still heard on radio today. 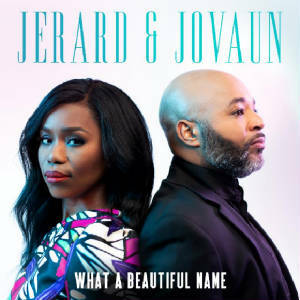 (Nashville, TN) - Uplifting husband and wife team, Jerard & Jovaun, bring their unique blend and harmonies to all-new digital EP, "What a Beautiful Name". The on-the-rise duo, made famous by their performance videos on social media, embody the growing sound of Gospel music that leans into classic worship songs while presenting it with a modern Gospel flair. "What a Beautiful Name" is a 5-track digital EP showcasing the couple's beautiful harmony. Jerard & Jovaun offer renditions of hymns and beloved worship songs. Among the gems found on the project are the title track "What A Beautiful Name," the prolific worship song "Oceans (Where Feet May Fail)," and the popular anthem "Great Are You, Lord." Jerard & Jovaun shared an all-new acoustic video of "Great Are You Lord" on their social channels. The "Dinner with Dionne & Clive" will be held on Friday, May 17, 2019 at the Times Square Edition, located at 20 Times Square/701 Seventh Avenue in New York City. At 6 p.m. a champagne reception with a silent auction will take place, then dinner will be served at 8 pm. 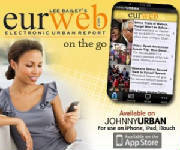 Portions of the proceeds will benefit the Dionne Warwick Institute of Economics and Entrepreneurship. 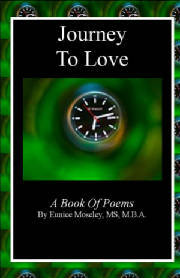 "Journey to Love" by Eunice Moseley now Available at Barnes and Nobles.